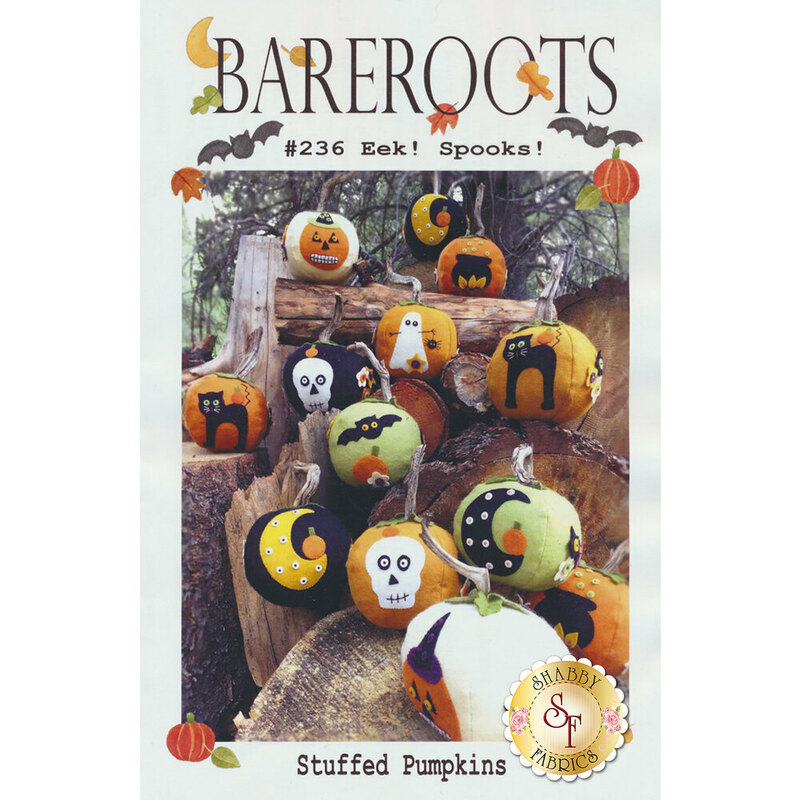 These perfect pumpkins greet trick-or-treaters with charm and style and feature fun Halloween colors and designs. The cat, cauldron, ghost, bat, and kull show your love of this spooky time of year but aren't scary, making them perfect for all ages. The Eek! Spooks! 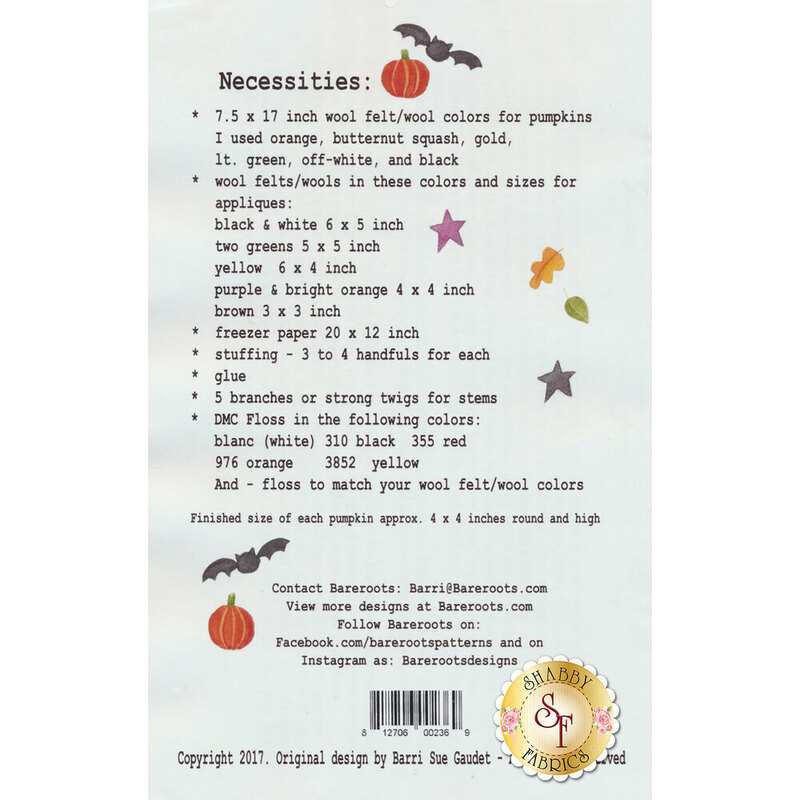 Stuffed Pumpkins pattern by Barri Sue Gaudet of Bareroots features easy-to-follow instructions, including full-size pattern page and easy to follow applique and embroidery hints. Pumpkins measure approximately 4" x 4" each.